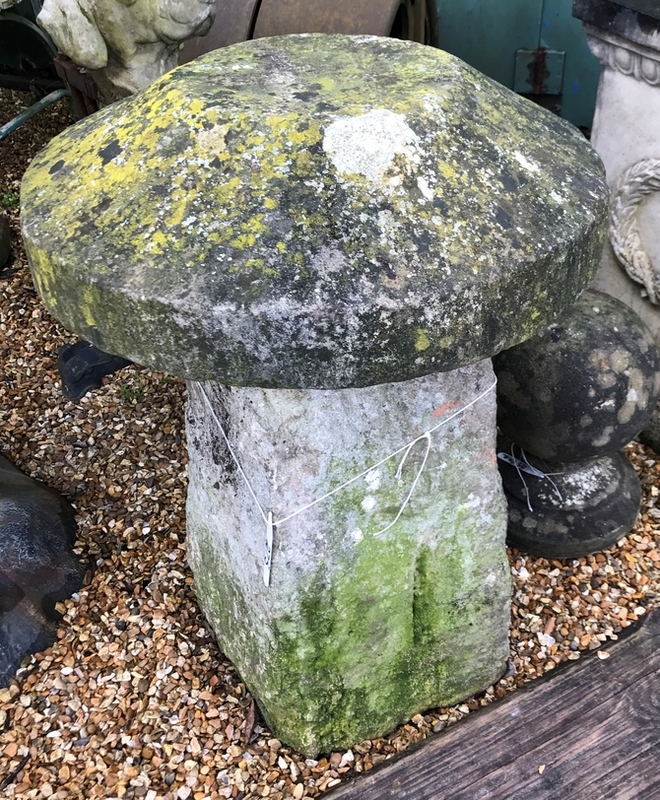 Staddle stones were originally used as supporting bases for granaries, hayricks, game larders, etc. The staddle stones lifted the granaries above the ground thereby protecting the stored grain from vermin and water seepage. In Middle English staddle or stadle is stathel, from Old English stathol, a foundation, support or trunk of a tree.